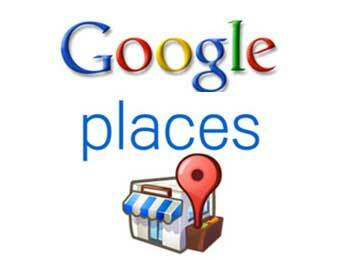 What is a Google Places SEO Package? In order to appear in the Google Maps listing (officially known as Google Places), on page one for geographic related searches can be a challenge if you are not familiar with what makes a good listing and what makes a poor one. Here at Superior Internet Marketing we know exactly what is required to get you a top listing on the Google map system. Because of the dominant visual location in the Google Search Engine results, Google Maps can have a significant influence on a Search Engine user’s likelihood to click through to your website. In addition, the consolidation of business reviews that appear on your Google Places page also needs to be carefully managed so as to ensure a balanced view of your business online. 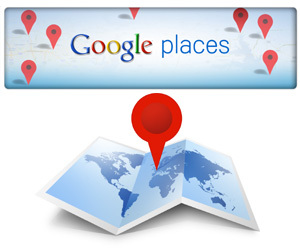 Our Google Maps Package forms a sound foundation for you to achieve solid rankings in Google Places. One of our dedicated and specifically trained Google Maps Expert from our team will set about the process of building your places account. Our highly skilled analyst’s have all of the skills and knowledge required to master this highly specialised area. A key part of the process is that our SEO Business Analyst will be sharing with you his/her experience and expertise along the way. Every stage is fully documented and explained; no changes are made to your Google Places listing without your complete and prior approval. What does a Google Maps SEO Package include? What is the Google Maps SEO Package process? A Google Maps package is €1495* which represents around twenty man-hours by your SEO Business Analyst, a Link Development Analyst and the support team here at Superior Internet Marketing. You can see our selection of Search Engine Optimisation on our SEO Packages page. Click Here now to view our SEO packages. To find out more about our standard SEO Package and to discover how we can help you to grow your online traffic, improve the quality of lead generation and increase your sales revenues, just complete our online enquiry form on the right or contact us for a confidential chat about your SEO needs. * Note: due to our international presence and service provision, published prices do not include Irish VAT rate. If services are provided within Ireland 23% VAT will be added at time of invoice. Superior Internet Marketing is one of Irelands leading Digital Marketing Agency’s, providing custom Services and Packages to small and large businesses nationally and internationally. Our expertly trained consultants apply best practice principles that deliver results. With Superior Internet Marketing, your website Search Engine Optimisation is in good hands.